High-purity THC distillate flavored with natural plant-derived terpenes. They use groundbreaking technology and techniques to produce the highest-quality THC distillate. Their partners at Cannaroma--an unrivaled team of experienced PhDs, create amazing flavors using terpenes found in plant species from all over the world. The resulting distillate is smooth and flavorful with an excellent effect. 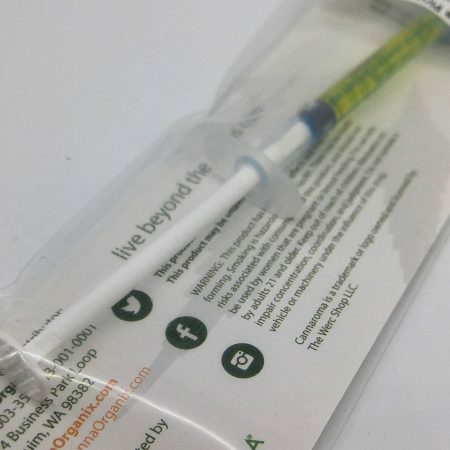 AND on SALE 25% off - was $32 and now only $24/.5g (no further discounts apply) • Berry Kush - (Green Kush) This product is packaged in a plastic syringe for easy use.